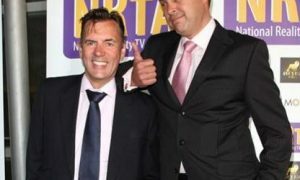 The National Reality Television Awards were thrilled to have Robbies Rally at this years NRTA’s on the 25th of September at Porchester Hall. 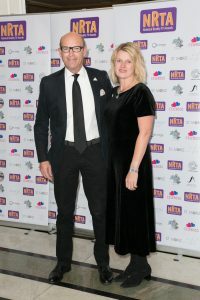 Robbies Rally are the official Charity sponsor of the 8th annual National Reality Television Awards and Mark Keville, CEO of Robbies Rally, attended the awards to represent the charity. 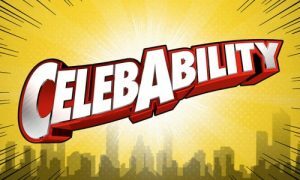 robbiesrally raises funds for ‘Robbies Rehab’ which is a unique charity-funded department affiliated to Southampton Hospital. Robbie’s Rehab provides rehabilitation for children with brain tumours and bridges the gap between the end of treatment and recovery. robbiesrally has provided support for children wanting to move, think and behave as children of their age usually do. The charity continues to provide support for all those families who believed their lives would never be the same again. Mark Keville, CEO, walks the red carpet at the NRTA’s. 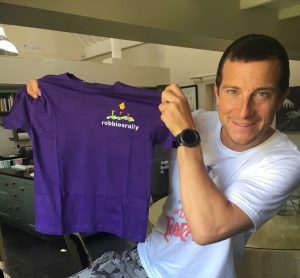 Bear Grylls, one of RR Patrons, holding the signature RR T-Shirt. robbiesrally continues to raise funds and include as many young people as possible in thinking up original events which are as imaginative and challenging as possible – and all beginning with the letter ‘R’.